Scout Gaming Group has entered into a follow-up agreement with Norwegian NRK AS, Norway’s public service radio and television, as well as the country’s largest television channel, for delivery of Winter Sports platform. 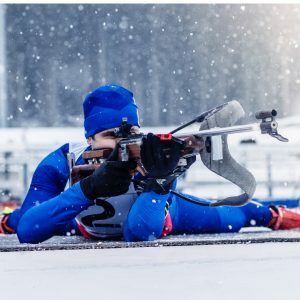 The agreement stipulates that Scout Gaming will provide a free-to-play platform for NRK targeting a couple of winter sports for the coming season. The agreement also includes an option for a wider co-operation for winter season 2019/2020. “NRK is a leading sports producer and I’m particularly proud to be able to offer an engaging and entertaining product to NRK’s users. It is also encouraging that we are, once again, gaining confidence from a state-owned player, since many of our prioritized customers are in that segment, “commented Scout Gaming’s CPO, Andreas Sundal. NRK – Norwegian Broadcasting Corporation – is the public service broadcaster in Norway, and Norway’s biggest media house with a market share of 32 percent in 2017. The website nrk.no is the second biggest website in Norway, with 4,9 million users during an average week. For more information about NRK visit www.nrk.no. Scout Gaming Group is a licensed and regulated provider of B2B Daily Fantasy Sports and pool betting. The company offers a flexible and customizable network based Fantasy Sports solution with support for most sports and leagues through an in-house statcenter which also provides real-time information to players. Local sports can be provided on request. The Group has approximately 70 staff and is headquartered in Stockholm, Sweden with development and operations in Bergen, Norway and Lviv, Ukraine. Sales, support and product management is handled from the office in Malta. Scout Gaming is listed on Nasdaq First North.